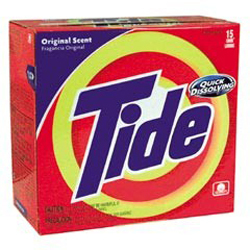 Tide is yet another billion dollar plus brand from the might company Procter and Gamble for home and commercial use. Tide is used by 5 in 10 households to wash laundry as well as many businesses to clean the floors and walls. It is an all purpose cleaning detergent.